The dependables built by Dodge! 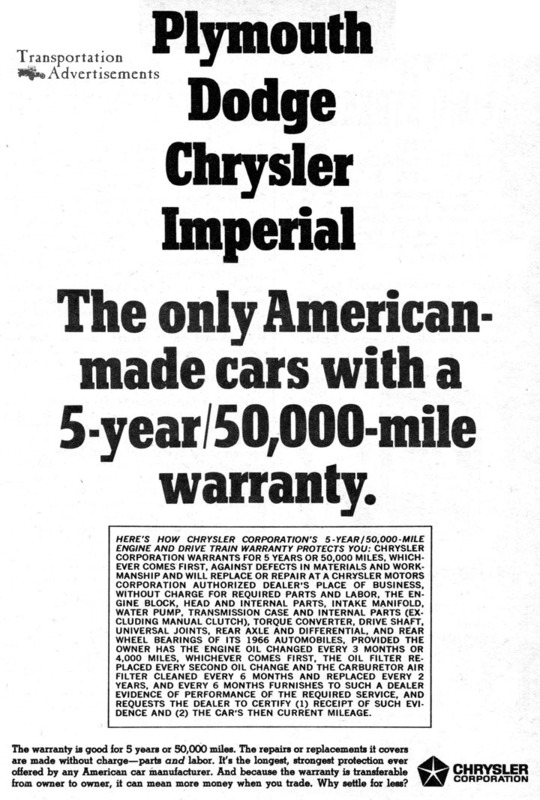 A lot can happen before the new warranty* on a ’63 Dodge expires. A two-some can become a five-some. If there were roads, you could drive around the world twice. 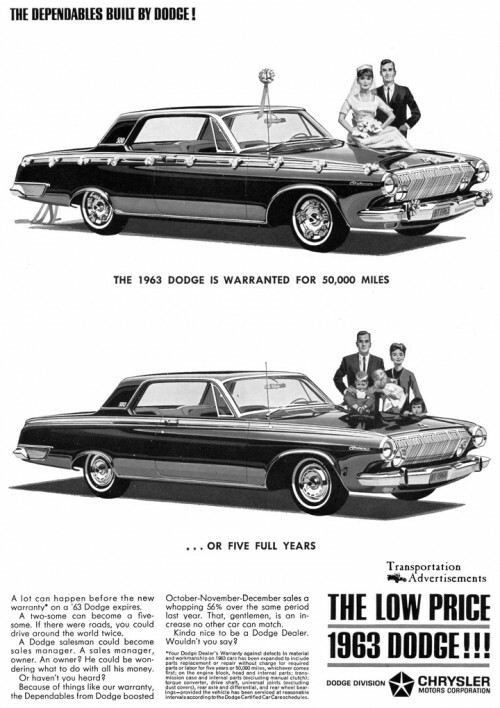 A Dodge salesman could become a sales manager. A sales manager, owner. An owner? He could be wondering what to do with all his money. Because of things like our warranty, the Dependables from Dodge boosted. October-November-December sales a whopping 56% over the same period last year. That, gentlemen, is an increase no other car can match. Kind nice to be a Dodge Dealer. Wouldn’t you say? *Your Dodge Dealer’s Warranty against defects in material and workmanship on 1963 cars has been expanded to include parts replacement or repair without charge for required parts or labor for five years or 50,000 miles, whichever comes first; on the engine block, head and internal parts; transmission case and internal parts (excluding manual clutch); torque converter, drive shaft, universal joints (excluding dust covers), rear axle and differential, and rear wheel bearings – provided the vehicle has been serviced at reasonable intervals according to the Dodge Certified Car Care schedules. Transportation Advertisements is powered by	WordPress 5.0.4 and delivered to you in 0.831 seconds using 32 queries.